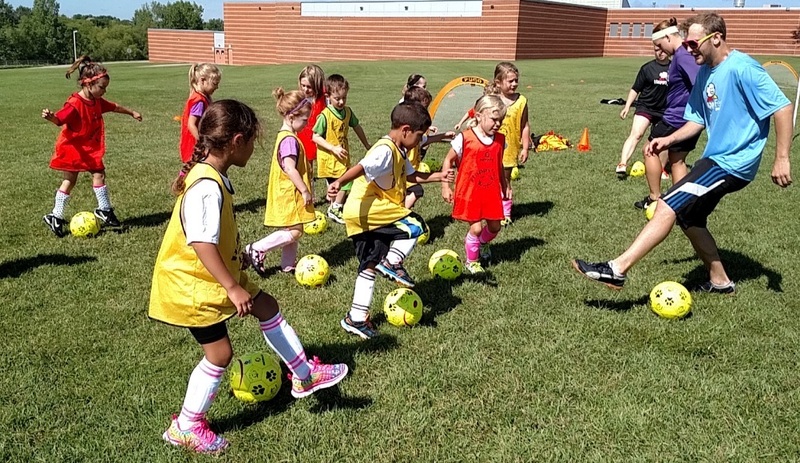 HappyFeet Soccer is a great way to start teaching your child about healthy habits. We teach Soccer foot-skills which help them with balance, coordination, and agility while also focusing on building their self-confidence through Soccer performance. HappyFeet Classes are non-competitive and therefore a lot of fun. We use familiar songs, stories, nursery rhymes and fun games to introduce soccer to children as young as two years old. Our unique curriculum triggers your child's imagination by taking their soccer ball, Bob the Bobcat, on adventures to the zoo, the movies, and even an enchanted castle! Our philosophy and curriculum encourages children to tame their bobcat with their learned deceptive dribbling and ball striking skills. We leverage creative play and the important developmental skills it provides to make fitness and soccer their favorite weekly activity! Our Summer Camp activites will inlcude a lot of fun play and physical exercises and games appropriate for each age group. Sessions are broken down into 3 Segments, Skill Building, Storytime and Classroom time while enjoying Lunch, and a final Game for each day. Campers will recive HappyFeet Soccer shirts at the beginning of Camp and a certificate and medal at the end of Camp. We will also be handing out prizes to each Camper for Individual performances.